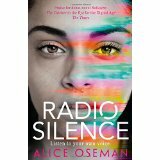 Alice Oseman is from Rochester, Kent, and has just finished an English literature degree at Durham University. Her debut novel, Solitaire, was signed when she was eighteen years old and was published to critical acclaim. The Times called it “The Catcher in the Rye for the digital age”. Like her characters, Alice was once a sarcastic teenager who spent all of her time on internet. Now she is a sarcastic 22-year-old who spends all of her time on the internet. Radio Silence and Solitaire were significantly inspired by behavioural trends on Tumblr. 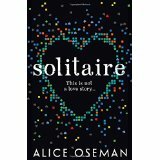 Follow Alice on Twitter @AliceOseman and Tumblr or visit her website. Radio Silence: What if everything you set yourself up to be was wrong? Frances has always been a study machine with one goal, elite university. Nothing will stand in her way; not friends, not a guilty secret – not even the person she is on the inside. But when Frances meets Aled, the shy genius behind her favourite podcast, she discovers a new freedom. He unlocks the door to Real Frances and for the first time she experiences true friendship, unafraid to be herself. Then the podcast goes viral and the fragile trust between them is broken. Caught between who she was and who she longs to be, Frances’ dreams come crashing down. Suffocating with guilt, she knows that she has to confront her past. She has to confess why Carys disappeared… Meanwhile at uni, Aled is alone, fighting even darker secrets. It’s only by facing up to your fears that you can overcome them. And it’s only by being your true self that you can find happiness. Frances is going to need every bit of courage she has. Solitaire: In case you’re wondering, this is not a love story. My name is Tori Spring. I like to sleep and I like to blog. Last year – before all that stuff with Charlie and before I had to face the harsh realities of A-Levels and university applications and the fact that one day I really will have to start talking to people – I had friends. Things were very different, I guess, but that’s all over now. Now there’s Solitaire. And Michael Holden. I don’t know what Solitaire are trying to do, and I don’t care about Michael Holden. I really don’t.